The Dillinghams were another surrogate family to me. I had such great times with them especially in the summertime. The father, Galvin, was a truck driver who drove all week and was home on weekends most of the time. The mother, Earline, was a stay at home mom. Earline was a sweet lady who always had a slight smile on her lips. She was like most of the baby boomer moms in that she kept that house sparkling clean and always prepared hearty meals for her family. I was friends with Diane, the middle child of three. Carolyn was the oldest, and Timmy was the youngest. The Dillinghams loved to camp and Galvin loved to fish. In the summertime they would invite me to come with them on their camping vacations. We had the best times on those trips. Since Galvin was a fisherman, we always went to where the fishing was good. Back then, the fishing spot was also the swimming spot for the kids, near the shore in the shallower water. I don’t have real clear memories of all the places we went but, for sure, they were some of the best memories of my early adolescence. I recall being at a place called Whitewater, where the water was so clear you could see all the way to the bottom perfectly. We also went to a place called Wolf Lake near Cape on the Illinois side of the river. Oh, and also Wappapella. I have no idea where Wappapella is. They were a loving family and there was never any hint of violence, which I was trying desperately to avoid at all costs. They lived several blocks north of my house, also on Sprigg Street, past Womack Drug Store, one of our favorite hang-outs. 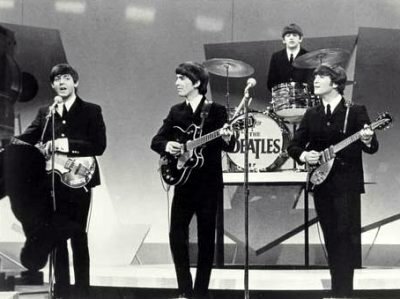 One of my most vivid memories of being at the Dillinghams was the night the Beatles appeared on the Ed Sullivan Show for the first time (their first appearance in the US I think). Diane and I were in her bedroom with a little portable black & white TV. We practically had our faces on the screen, we were sitting so close. And, just like the girls in Ed Sullivan’s TV audience, we were screaming and throwing our hands up in the air just as soon as they started singing. I can’t remember if the first song was I Wanna Hold Your Hand or She Loves You, but both songs were definite screamers. When they sang the slow love songs, we swooned, of course. The Beatles and their music was the topic of every pre-teen and early teen-age girl’s conversation for a really long time. Each girl chose her favorite Beatle; Paul McCartney, John Lennon, George Harrison, or Ringo Starr. There were cards with their pictures on them. They were the same size as baseball cards, perfect to fit in a billfold. Handy to pull out and swoon over. Those were our Happy Days at the Dillinghams! Great memories! This entry was posted in Beatles, Cape Girardeau, Missouri, Music, Neighbors, Sprigg Street and tagged beatles, dillingham, ed sullivan, sprigg street. Bookmark the permalink. Wappapella is just West of Cape an hour or so—near Poplar Bluff, Mo.. I have camped there many times while on bike trips. It’s a serene camping area that I really like. I had a pen-pal from South Wales who wrote me about some group called the Beatles long before they got to the Sullivan show—I saw them perform that night also. You would have been quite a bit older than me (ahem)! Where were you when you watched them? Some of your classmates are in these infrared photos I shot in the Esquire while Help! was playing. That’s right! I remember seeing these on your site. I loved seeing those. I think I will edit this article to include a link to your site. I’m sure others will get a kick out of seeing those pics too. 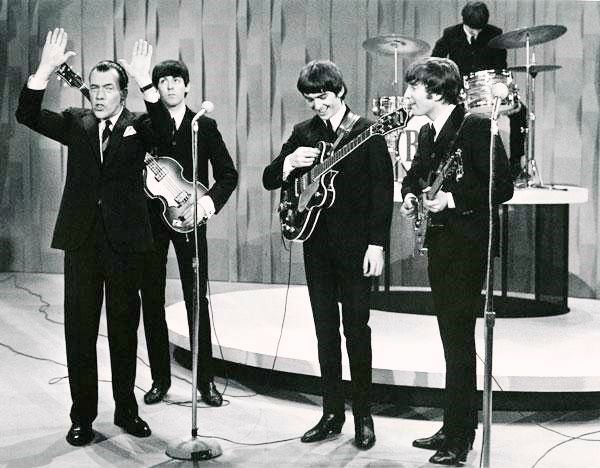 For some odd reason i did not see the Beatles first appearance on Ed Sullivan. The only reason I remember is that, I remember the disappointment of EVERYONE talking about it a school. As you recall, everyone watched one of three channels (3 Harrisburg ABC, 6 Paduca NBC, or 12 Cape CBS) and then talked about what happened on TV the next day in school. I did not see the show, so I was left out of ALL conversations on the subject. I made sure that after that I watched Ed Sullivan every Sunday night. Terry, I remember those 3 channels. And channel 3 was all snowy most of the time so we basically had 2 choices. My, how things have changed. I just found your blog through Ken Steinhoff’s web site. Gosh was I surprised to see the article about my family. Thanks for the nice words about my parents. I sent Diane a link to your site. Carolyn, I am so glad you found my blog. It is good to hear from you. The times with your family were some of the best times for me.